This is a guest post by one of my favorite dating experts, Barbie Adler on finding love in 2016. A matchmaker for 16 years, not only does Adler know what she’s talking about when it comes to love, but she is inspiring, with dating advice that will seriously get you off your couch and into the arms of Mr. or Ms. Right! As we ring in another year, it’s time to put any love mishaps from 2015 behind and concentrate on looking forward. Dedicate 2016 to focusing on a healthy mind, body and quality relationships. Release any pent up toxic energy from former relationships. Decide that this is the year that you won’t hold on to unnecessary anger, sadness or resentment. Let it all out and move upward and onward. Don’t let the past cast a shadow on your present happiness. Life is short – be good to yourself and allow yourself to have love and romance in your life. For every failed relationship, there are dozens of life lessons to be learned. There are usually multiple reasons the relationship went awry. Evaluate where things went wrong and regardless of who was at fault, understand how to mitigate the issues in future relationships. Don’t repeat the same mistakes and patterns. Focus on prospective mates who possess the traits that are truly important to you. If you are playing for keeps – look beyond the superficial and make sure you are selecting someone with potential for longevity. Finding an attractive partner for you is easy. Finding an attractive partner who meets all of your specific physical, emotional, intellectual and relationship criteria is much more challenging…that’s why people hire Selective Search. We all have a friend who seems to constantly draw your focus and attention on their complaints and issues. Limit or terminate negative and unhealthy friendships. Allow 2016 to be a year of positivity and mutuality. Spend your time with people who love you and support you with genuine, energy boosting friendship. Get out your iPhone, Outlook calendar or personal agenda and prioritize yourself. Turn down that unnecessary meeting and spend some time being good to yourself. Advanced move: Schedule “you time” as you would your most important appointments throughout the year. Carve out time each month on the calendar now before you become a slave to your schedule. Focus on the things that are positive in your life. Each morning, take notice of your strengths and positive attributes. Give yourself a compliment. Work on ignoring the little voice in your head that criticizes you and become your own cheerleader. Love yourself first and watch how you’ll attract more love into your life. Make your love life a priority. It’s time to break this vicious cycle you’ve been on. Hand your search over to the experts and let 2016 be the year Selective Search finds you the “Love of your Life”. For 16 years, Selective Search has made the most successful matches in North America. Be smart. Be strategic. Allow Selective Search to take the labor out of finding your love. This is what we specialize in. Don’t wait any longer for “happily ever after”. Not only will we introduce you to true love, but you’ll also discover the best version of yourself. 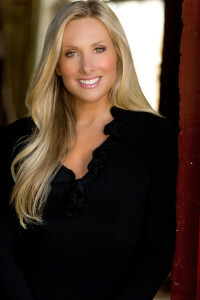 Barbie Adler is the President and Founder of Selective Search, North America’s leading matchmaking company. Selective Search offers two ways to become a member: our premium fee-based Client program and our complimentary Affiliate program. Regardless of which program you choose, Selective Search always honors your privacy and preferences. Both programs are 100% custom, confidential, and offline. Start 2016 with a refreshing and positive outlook and visit Selective Search today.